In Native American mythology, Turtle represented the Earth, the mother from whose substance the bodies of all creatures living on Earth were formed, and the nurturing Force that provides an opportunity for the human spirit to evolve. As a power animal, Turtle teaches the need for protection. Although you should find expression for the creative sources within, and allow your thoughts to reach up to “heavenly” things, it is essential to stay well grounded and to be connected to the power of the Earth. In other words, you must keep your feet on the ground of practicality. Turtle also stresses the need to keep the physical body in balance, and to remember that this is the vehicle through which we experience life on Earth. Turtle teaches the wisdom of aligning yourself with the cyclic flow of life, and demonstrates that the fastest way is not necessarily the best, for it takes time for ideas to develop properly. Turtle indicates Earth harmony, and draws you to all that is whole and good and abundant. Make haste slowly. In Native American teachings, Turtle is the oldest symbol for planet Earth. It is the personification of goddess energy, and the eternal Mother from which our lives evolve. We are born of the womb of Earth, and to her soil our bodies will return. In honoring the Earth, we are asked by Turtle to be mindful of the cycle of give and take, to give back to the Mother as she has given to us. Turtle has a shell which is similar to the protection that Earth has employed for centuries as her body has been defiled. Mother Earth’s protection has come in the form of Earth changes, new plant growth, the creation of new land-masses by volcanoes, and climate alterations. Like Turtle, you also have shields that protect you from hurt, envy, jealousy, and the unconsciousness of others. Turtle teaches you, through its habit patterns, how to use protection. If you are bothered by the actions or words of others, it is time to go inside yourself and honor your feelings. If you are attacked, it is time to give a warning snap. If you have chosen the Turtle symbol, you are being asked to honor the creative source within you, to be grounded to the Earth, and to observe your situation with motherly compassion. Use the water and earth energies, which represent Turtle’s two homes, to flow harmoniously with your situation and to place your feet firmly on the ground in a power stance. Turtle is a fine teacher of the art of grounding. 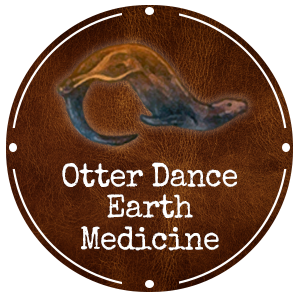 You may even by able to overcome some of your “space cadet” tendencies if you align with Turtle medicine. In learning to ground, you are placing focus on your thoughts and actions and slowing to a pace that assures completion. Turtle warns of dangers of “pushing the river,” as evidenced by the plodding pace it keeps. The corn that is harvested before its time is not yet full. However, if it is given the chance to develop at its own rate, in its own season, its sweetness will be shared by all. Turtle buries its thoughts, like eggs, in the sand, and allows the sun to hatch the little ones. This teaches you to develop your ideas before bringing them out in the light. Look at the old fable of the tortoise and the hare, and decide for yourself whether or not you would like to align with Turtle. Bigger, stronger, and faster are not always the best ways to get to a goal. When you arrive, you may be asked where you have been and you may not be able to remember. In that case, arriving prematurely can make you feel very immature. If you draw the Turtle card, it augurs a time of connecting with the power of Earth and the Mother-Goddess within. This is a reminder of the ally you have in Mother Earth. Connect to Earth Mother. Ask for her blessings. Fertility and manifestation will follow.